A whole lot of money is made on the Internet using websites and blogs. Since WordPress is one of the top content management systems available, it makes sense that there will be a lot of good ways to monetize a WordPress blog. While on the surface it may seem like there are only a few basic ways to monetise a website, the intricacies of monetising a WordPress blog will often be the difference between having a trickle of income and making a lot of money. Here we’re going to take a look at a group of monetization options you have for a WordPress blog, and how to get the most from them. Monetize your Blog ~ Advertise There! The most basic technique to monetize a WordPress blog is to involve in advertising, so that’s where we’re going to start our discussion. In the old days, you would have to go around and find people or companies that wanted to advertise on your blog, negotiate rates, and do everything on your own. While that’s still a viable option for some people, the majority of WordPress blog owners would benefit from using some sort of broker instead. Before you can find a broker, you’ll need to know exactly what type of advertising you want to deal with. One option is basic banner advertisements. You see these on websites all over the Internet, and they often pay based on the CPM model, which pays a set amount each time the advertisement is displayed. These ads work best for WordPress blogs that have a lot of pages and/or a lot of readers. 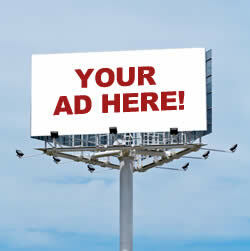 A good site to use if you decide on this advertisement model is BuySellAds (BSA). A second option is using text block ads from something like Google AdSense. These advertisements blend in with your content in a way that’s more pleasing to the eyes, and generally pay based on the CPC model. CPC stands for cost per click, and means you get paid only when someone clicks on the advertisements. Google AdSense is best for blogs that have a lot of text-based content, and the ads should be put beside of text content to make sure your readers see them and have a chance to click on an ad they’re interested in. You can also add the Infolinks Related tags to increase your CTR and earnings. Another great way to monetise a WordPress blog is to use it to sell products. While you can develop your own product to sell, then use a WordPress blog to promote it, here we’re mostly concerned with selling products that other people have created. One option is to use a company like ClickBank or Amazon to choose products you would like to promote and try to sell. With these sites, you’ll choose the specific items you’ll want to sell, and place links on your blog that will allow reader to make a purchase. If they buy these products, you get a commission. If you don’t want to go that route, another way to sell products from your blog is by using a site like skimlinks.com, which will automatically insert affiliate links into your blog. This way, your blog is automatically promoting products related to your blog’s content, which will increase your sales. By going this route, you also save the time that it would take to find appropriate products to promote on your blog. If you can offer some sort of service, or know someone who does, you can offer those services from your WordPress blog for monetization. There are many websites on the Internet where you can find freelancers in everything from web design to photography. If you use one of these websites to find a professional, you can promote their services on your WordPress blog at an increased price than what they charge. This form of arbitrage can be practiced with individuals who offer almost any kind of service, but the most popular niches for this type of arbitrage is writing, Web Design, or tech support. So put up a Services page on your blog and people will start noticing it. Do you prefer using any other method to Monetize your WordPress Blog ? I'm Matt, one of the team of editors at Credit Card Compare, an independent consumer reviews website where Australians can compare and read impartial reviews of the top credit cards for businesses and consumers living in Australia. I think BSA works better for webmaster niche blogs only or if you really have a high traffic website or blog . My fav is CPM. But some companies are offereing very low CPM. Tribal Fusion is the best in CPM. Next to that is AdSense. Once we get some good quality posts AdSense revenue starts flowing very well. Monetizing blog is easiest with Google Adsense alongside buysellads.com! Others are not that much convenient. link for http://skimlinks.com/ is invalid. I have heard Integrated Affiliate links for First time. I lost my adsense id in 2006 when I had a lot of sites for affiliate marketing. I’m looking for some alternatives now. I’ll look into ClickBank. Thank for the tips. BSA is not approving my site.It’s requirement is too high.Will have to wait till I get decent traffic.BTW thanks for sharing. is it wp.ORG or is wp.COM ?????????????????????????? A very useful post. Thumbs up to the Poster. Can’t someone monetise a site without a .com, .org etc domain? Nice article, these are all nice solutions to get ad revenue from your wordpress site but I guess there are some other new initiatives that are missing. I think people are willing to pay for great content, so why not combine the advertisement revenues with for instance a pay-per-article paywall or paid subscriptions to your blogs? With Cleeng you can protect parts of your content and sell your articles, videos, pdfs etc through your own website. You can download the plugin here: http://wordpress.org/extend/plugins/cleeng/ Check it out, it has just been updated with awesome new features! WordPress is one of the top content management systems available, it makes sense that there will be a lot of good ways to monetize a WordPress blog. Great information is provided about monetizing the wordpress blogs. Thanks for sharing.